An first-person perspective survival horror game, created by the Polish developer Techland, known for Dead Island and the Call of Juarez series, among others. The player assumes the role of a character who is trying to survive in a zombie-infested metropolis. Dying Light for PC, PS4 and etc. is an open world survival horror action game, created by the Polish studio, Techland. It is a peculiar mix of Dead Island, their previous work, and Mirror's Edge. The players assume the role of one of four heroes in a city, whose rustic looking slums bear a significant resemblance to modern Rio de Janeiro. The population of the metropolis has been infected with a mysterious virus that turned people into zombies - a solution similar to the one utilized in the movie I Am Legend. Enemies display distinctive behavior patterns - while not very active by day, the zombies turn into bloodthirsty beasts at night, effectively dividing the game into two different parts: explore your surroundings looking for raw materials and weapons during the day, and when the night comes, desperately try to protect yourself from the horde. In Dying Light, released for PC, PS4 and etc., the players fight mutants primarily with melee weapons, the title offers several diverse weapon types: axes, machetes, halberds, hammers, sticks, and so on, firearms, on the other hand, are rare. A great emphasis was also put on the creation of an extensive system of equipment so the players can combine seemingly useless things with the chosen weapon, gaining additional damage or effects. With the progress in the story mode, the protagonist gradually gains experience, which gives players the opportunity to develop and customize their character's skills to their liking. One of the game's distinctive features is the movement system inspired by the work of the EA developer studio DICE – Mirror's Edge. The protagonist can jump from building to building with incredible grace and agility worthy of the best traceurs. This solution creates many navigation possibilities, allowing the players to explore virtually every corner of the city, regardless of how inaccessible it seems to be. The dynamic day and night cycle, in turn, ensures that the gameplay is not simply a bloody and merciless slaughter of mutants. In Dying Light it is sometimes better to get away from an overwhelming number of enemies than to meet them face to face, especially at night when the game environment changes beyond recognition, and the fight for survival survival. Hand in hand with the openness goes the dynamics of the world depicted in the game; players can encounter random events, and how they cope with them - get involved to help someone or simply avoid unnecessary trouble - is their choice. The authors prepared numerous side quests that provide a pleasant break from the main storyline. 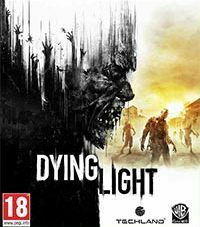 Dying Light for PC, PS4 and etc. is powered by Chrome Engine 6; it can generate high-level graphics and take advantage of advanced DirectX 11 features. It can also simultaneously display huge, diversified areas with objects visible in the distance, and a large number of characters in them. Furthermore, physics and animations were also improved, making melee combat and character movements very realistic. The story mode can be played solo or, just like in Dead Island, over the Internet with up to four friends. This unofficial Dying Light game guide is a complete solution about how to survive while going through the city of Harran. For many people killing zombies never gets old, and developers from Techland are fully aware of that. Dying Light is another solid addition to the zombie games genre from makers of Dead Island.